Mavi’s Alissa Ankle Skinny Jeans in Golden Gold will fast become your comfy wardrobe go to. 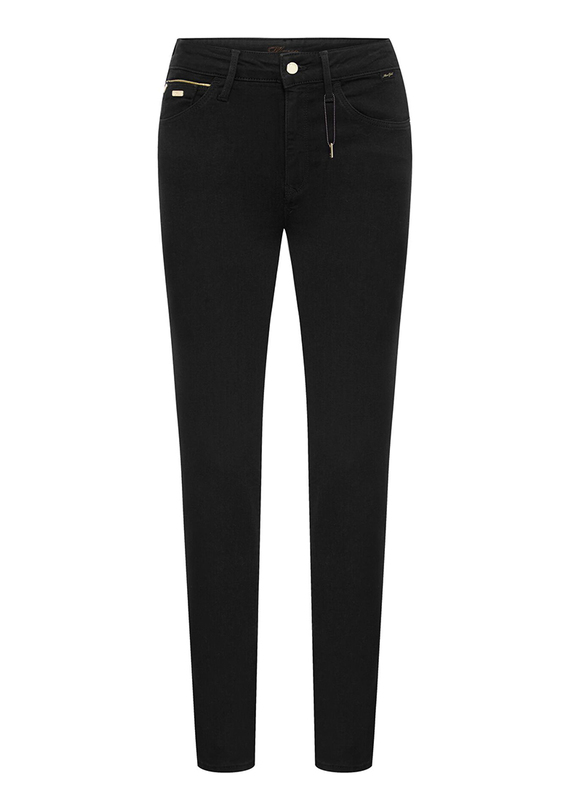 This slimming skinny jeans, in a dark indigo wash offers a flattering high rise with a long lean fit through the legs keeping you comfortable and supported. It is cut from our super soft denim, engineered to achieve superior fit retention, structure and stretch whilst ensuring breathability and long lasting softness. For a simple style, dress your skinny jeans with a t-shirt and sneakers or perhaps a blouse and heels for a smart casual dress code. Styled here with SONYA Long Sleeve T-Shirt in Midnight White Stripe.Dark Indigo Denim with slight washing.Features tonal stitching, zip fly, straight cropped hem, 5 pocket jean styling & Mavi premium Gold Collection gold hardware.